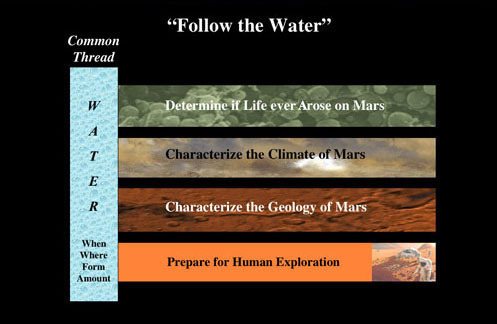 Where ancient water was once present on Mars, what clues did it leave behind? Where and when did it occur, how did it affect the surface, and could it have sustained life? What processes formed and altered the crust of Mars? What processes drive modern weather and climate? These are the driving questions that the Compact Reconnaissance Imaging Spectrometer for Mars (CRISM) was built to answer. CRISM is an instrument on the Mars Reconnaissance Orbiter (MRO), launched in 2005 with the primary objective to search for mineralogic evidence for past water on Mars. CRISM’s observations, in part, confirmed the presence of large amounts of water on Mars in the past, and continue to reveal an extraordinarily complex geologic history of Mars. CRISM is an imaging spectrometer; it measures composition of Mars' surface and atmosphere by taking images in which reflected sunlight is measured simultaneously at hundreds of different wavelengths that are reflected from Mars' surface and atmosphere. The instrument produces images of the Martian terrain showing those minerals much like a digital camera does, but unlike a digital camera, CRISM detects light at wavelengths beyond those visible to the human eye. Scientists then analyze those images to study Mars' rock formations, track changes in the planet’s atmosphere, and how volatile ices cycle between the atmosphere and polar ice caps. Using the spectral fingerprints of minerals that form in liquid water, find where Mars had persistently wet environments. By mapping the composition and layering of rock formations, understand what processes formed and altered the Martian crust. By measuring the changing amounts of dust, ice, water vapor and other gases in the atmosphere, help to understand Mars' modern climate.